Genuine Zebra ribbons provide the best results for your Zebra printer. Zebra 4800 performance resin provides excellent resistance to scratches, smears, chemicals and harsh outdoor environments. 4800 provides excellent edge definition for dense barcodes and high-resolution graphics. UL and CSA recognised with various Zebra materials. 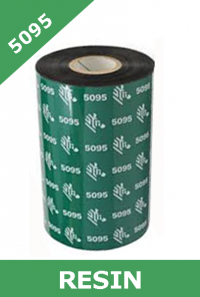 Zebra 5095 performance resin provides superior resistance to scratches, smears, extreme temperatures and chemicals. 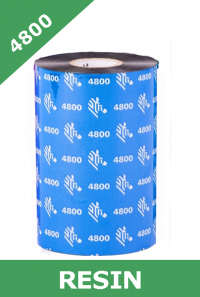 Low energy requirements allow this ribbon to provide excellent print quality and high print speeds. UL & CSA recognized with various Zebra materials. Zebra ZM400 and ZM600, Zebra 105SL and Zebra 105SLPlus, Zebra 110Xi4, Zebra 140Xi4, Zebra 170Xi4 and Zebra 220Xi4.